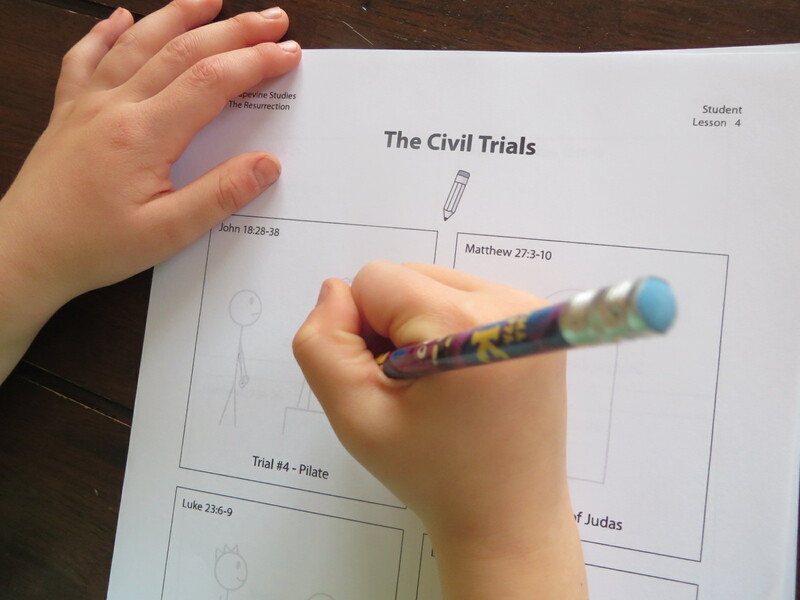 Incorporating the Bible into our family's life can never be overemphasized, but finding methods that honor the truth AND engage kids in a productive way is hard to come by. 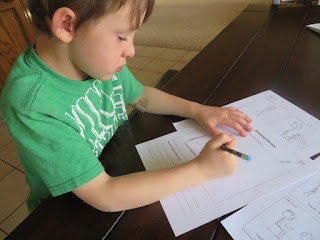 In February, I was granted the opportunity to explore The Resurrection Study by GrapeVine Studies that proved to be a highly effective method to engage my 5 year old while familiarizing him with parts of scripture. Considering the energy he brings to the table most days, that is a tall order, if you ask me! The traceable version has stick figure illustrations lightly drawn in for tracing, where the non-traceable version leaves everything blank. The Teacher's Book provide lesson plans, the suggested stick figure illustrations with the intention of being drawn on a board and students copying it on their own paper and a great amount of bullet points to ensure main ideas are brought out. While my circumstance was just one student and largely directed by his needs, in a classroom setting full of multiple kids, this Teacher's Book would be especially useful to engage from many angles. 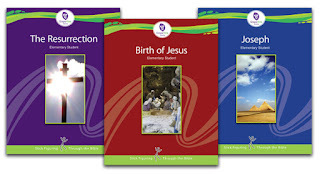 How we used it: For each lesson I would begin by reading the main verse(s). Since my son is learning to read, I would have him read the title of each box (to be illustrated) and then have him trace each box as I read the corresponding verses, followed by discussion of the details. For those of us who need to do something with our hands to better pay attention, this works beautifully! At the end of each lesson are several review questions, memory verses and the opportunity to illustrate your favorite part however you would like. The resurrection event is discussed every Sunday to some extent during communion so he has been exposed to the subject regularly, but we haven't ever gone through the entire series of events together with him quite like this. This was a great way to do it! It wasn't some fancy orchestration or extensive prep work required. Just reading the Bible and drawing. If you're looking to energize Bible study and reading in your home - this is a great tool! Any age, any skill level - this can be used to spark learning and creativity. Large group? Classroom? GrapeVine is prepared with schedules, lesson plans, and great ideas for deeper learning!